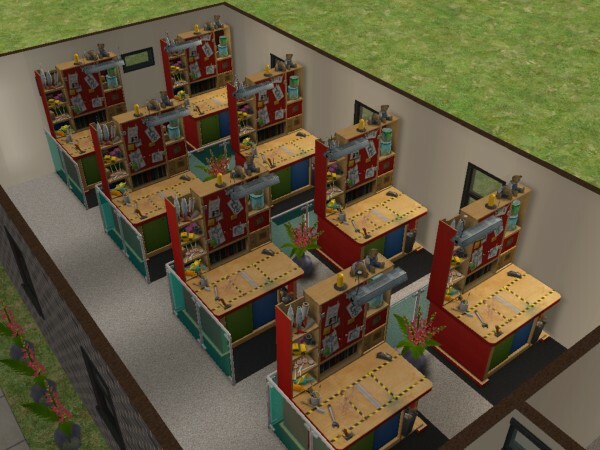 The Craft Factorial Pack is a set of three community lot factorised designed to allow employees to produce toys, robots, or flower arrangements, respectively. 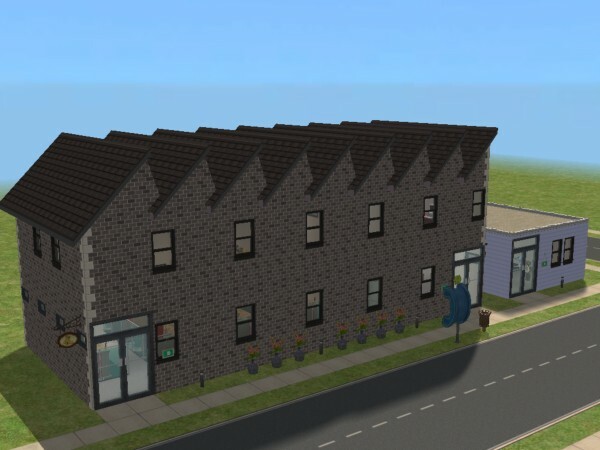 By producing these items separate community lot, Sims can and reduce or eliminate the staffing and space required to produce them on the sales lot. 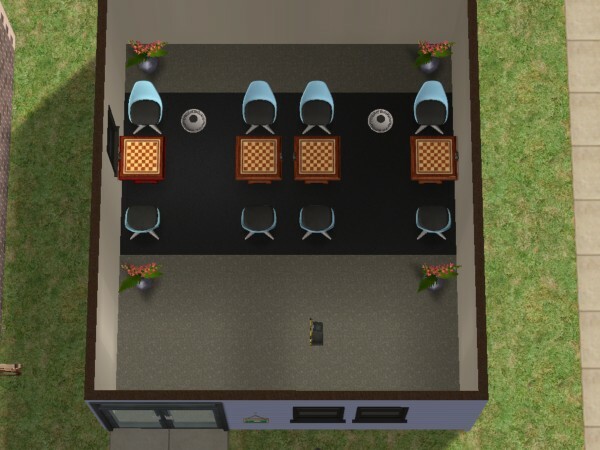 Hire up to 8 Employees to work in the lot, call them in and assign them jobs. All objects produced on the factory lot will wind up in the owner's inventory, so that he can sell them on a separate business lot also owned by him. 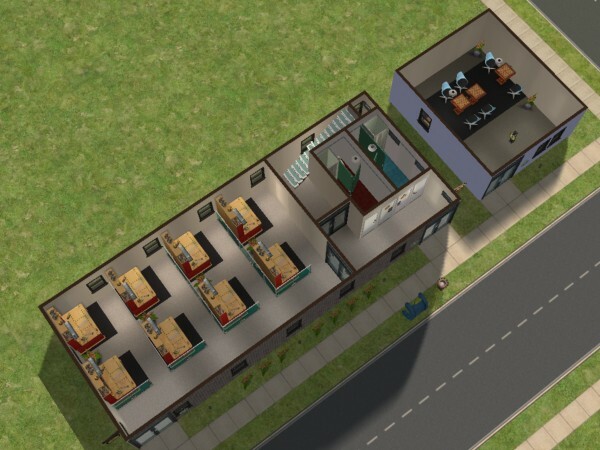 Since all Business, Rank, and Employee Information is preserved when a Community Lot is directly sold from one Playable Sim to another, the player only needs one Crafting Factory of each type in his neighborhood: By putting the deed on an accessible wall and marking it for sale before leaving the lot, another playable Sim can visit the lot and purchase it. 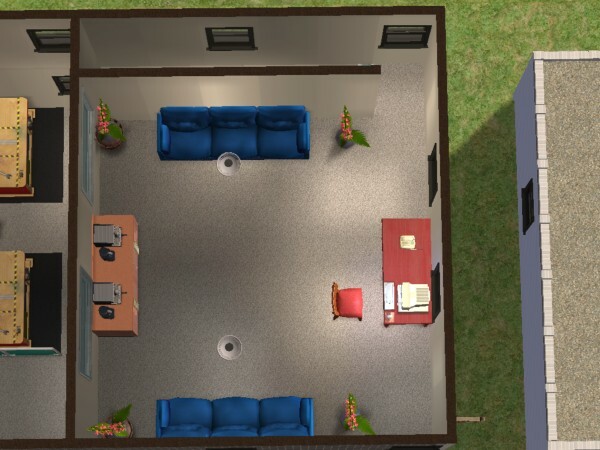 Because of a bug in the game, every time you call in employees, they will all attempt to go to the nearest craft station, and only the first one to get there will automatically resume his work. The others will need to be reassigned to other crafting stations by the player. Each lot also includes a Chess Parlor, which can be used to make the lot break even, or obtain ludicrous amounts of money. A Gold-Sales-Badged Sim will be able to Dazzle Patrons past the ticket machine even if it's set at $9,999/hr. Due to the snapdragons, it is not neccesary to give the customers access to the bathrooms. Fixes the aforementioned routing error, so the player does not have to reassign most of the employees each time he visits the lot.